WiFi Marketing is communicating with customers and prospects directly through their use of a company's free or guest WiFi. It traditionally includes branded login pages, content delivery, email marketing, social media interactions, promotions, and data collection. How Does WiFi Marketing Software Work? In order to reach customers, visitors and prospects through guest WiFi, a company first needs a marketing automation platform that is directly connected to their guest WiFi. How Can WiFi Hotspot Marketing Help My Business? Offering WiFi in itself will attract customers. People depend on internet connectivity. If a customer is choosing between two restaurant venues, they will be more likely to consider places that provide free WiFi. If your venue is one of them, that will likely increase your business, especially if your competition doesn’t have WiFi. Even large enterprises find a customer experience value in offering guest WiFi. Marketing WiFi lets you market your company when a customer is ready to connect. WiFi marketing offers several benefits to your marketing efforts. There are many benefits of offering WiFi to guests already; the next logical step is to leverage that customer benefit to drive revenue and increase customer loyalty. Many businesses devote a good amount of their budget towards marketing, some of which potential customers may not even notice. WiFi marketing connects businesses to customers, and future customers, when they’re most receptive to marketing. From coffee shops and car dealerships to airports and arenas, guests check to see if free WiFi is available almost as soon as they walk through the door. Businesses of all sizes can increase retention, encourage return visits, cross-sell and upsell promotions, deliver content, and drive revenue and by marketing through the WiFi connection guests are already connecting to. GoZone has made it easy for you to take leverage your guest WiFi and turn it into a revenue-driving marketing machine. 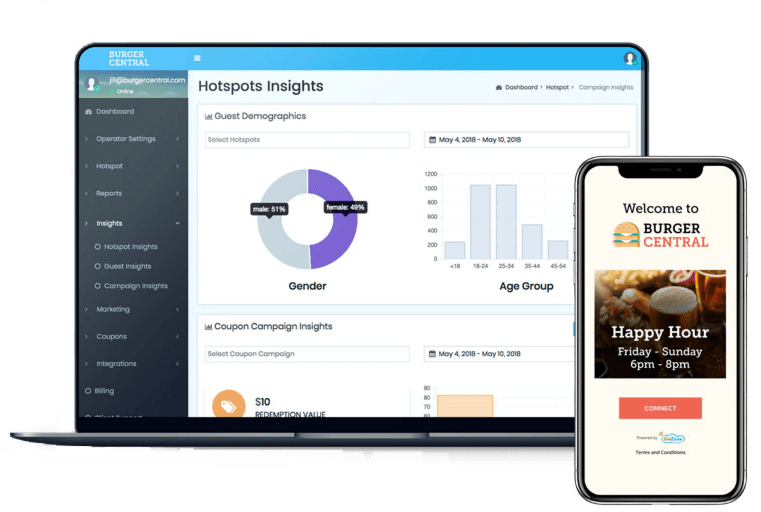 Our WiFi marketing automation platform allows you to display relevant ads, coupons, or information about your business that they will definitely see. You can even encourage them to like and follow you on social media, as well as collect their email address and other details that you can use at a later time to contact them. You also have many options to customize how you advertise to your guests. Need help getting folks to login to your guest WiFi? Check out our blog, How to Incentivize Your WiFi HotSpot. GoZone WiFi is secure, but password-free. We allow guests to access WiFi without a password, so it is a simpler process for them, while at the same time, does not compromise security. This makes it convenient for customers, by eliminating any frustration they would have by not knowing what the password is, or mistyping it. Additionally, you will avoid needing staff to repeatedly inform them of a password. 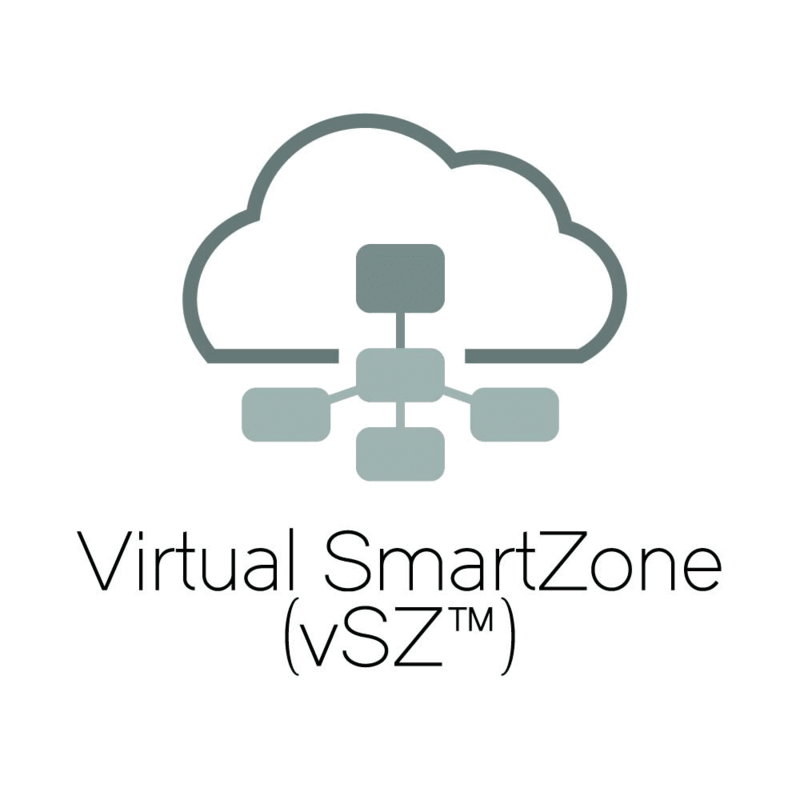 GoZone’s platforms are hardware neutral. What does that mean? If you’re already using any of the below Smart WiFi compatible equipment, you’re all set. If not, no worries. Our software is completely plug-and-play, meaning we can supply you with a Smart WiFi controller. Just plug it in, and you’ll be building your customer list in minutes. Ready to Enhance Your WiFi and Grow Your Business? We’d love to show you how marketing through your guest WiFi can help secure your network, grow your customer base and drive sales!